Panama Limited, having dropped the “Jug Band” from their name, and having seemingly psychedelicised themselves while listening to Captain Beefheart, no doubt taking a tip from label mates The Edgar Broughton Band in the process, are an entirely different proposition on their sophomore and last album Indian Summer. Firstly all but three of the songs are written by Denis Parker, who was definitely under the good Captain’s spell, even down to adopting a sub-Beefheartian growl. Of the three remaining songs, Future and Darkness Brings are penned by Dave Griffiths, and Laughing by Anne Matthews, and all three are at the end of the album, almost as if Denis didn’t want his thematic muse disturbed. The story gets weird when it is revealed in the liner notes that Denis left the band during the recording sessions for the album, and headed back home to Canada, which must have been the fatal blow that ended the band, one assumes? Released a year after their debut the band have become steeped in the hippy culture of the era and picked up electric instruments. The country element is still there, but fizzed through with eeeeee-lec-triciteee. Ironically, just as Panama Limited were trying to progress and leave their jug band beginnings behind, Mungo Jerry had their hit In The Summertime, prompting Harvest to ask if the band would take a step backwards to secure a cash-in hit. It seems even the most revered of underground labels were not averse to applying biz pressures. 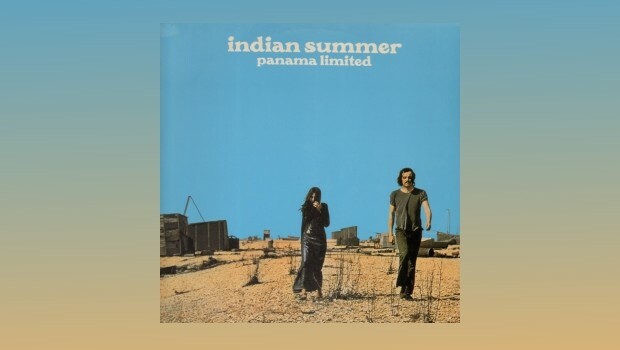 Professionally produced at Abbey Road studios, Indian Summer has a much more polished and serious feel compared to that of the happy-go-lucky debut. That’s not to say it is po-faced, as these grooves feature all the acid-fried lunacy familiar to Beefheart and Broughton fans. An exception to this is the Anne Matthews’ led title track Indian Summer, which has a more traditional folksy feel to it and contrasts nicely with the bug-eyed beans from Venus that surround it. Dave (not the more formal David of the first album) Griffiths’ Future shows that he too had been listening in rapture to Trout Mask Replica, and it is a bass-led time signature limb-twister that Rockette Morton would be proud of. Darkness Brings on the other hand is a 1967 psychedelia throwback and sounds like it should have been a b-side to a Fire single. Denis’s Beefheartian growl at least makes it sound a little different. We end with Anne Matthews’ Laughing, a twelve-bar that harks back to the first album, but with a boozy feel when Anne’s vocals lurch in. Could it be that the final three tracks were written after Denis jumped ship in order to complete the album? That may explain the disjointed feel to what was the second side of the original LP. No matter, it is a fairly enjoyable if somewhat derivative romp, mostly through the deserts of Surrey. The bonus tracks, as with the reissue of the first album, are two tracks that make up a contemporaneous single, the a-side being in the style of… you guessed it… Mungo Jerry.